Does anyone have experence replacing manual transmission on this car? I have been told I need new one, $8,000 at the dealership, but car is worth only $1,000 - should I junk it? What else will go wrong soon? just replaced the CV boots, drive axel, tie rod arms, ball joints too, all in the frontend. Will need one motor mount soon and one front shock according to the technician. Sell it to the junkyard for sure. Get some money for the parts. These problems you have already had are common Volvo problems, which are super expensive. Why spend 8 grand on a $1000 car? You could get a newer Volvo for the same price. I doubt the car is worth that little. It is a used car, put a used transmission in it. You can find them for $300-500. 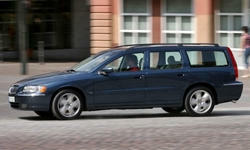 And don't use the dealerahip, you use an independent shop, preferably one that specializes in Volvo's or European cars. I have for sale a used 5-speed manual transmission removed from a 2002 Volvo V70 front-wheel drive station wagon. The car had 160,000 miles on it when we disassembled it. I drove and tested this as good. | eBay! Hopefully someone who's been through this will respond. The labor to install a used transmission will cost more than the transmission. If more owners don't chime in, I'd suggest checking onmatthewsvolvosite.com. I find owners of both Swedish car manufacturers have well documented repair how-to's to keep their love on the road for decades. It is the bastion of owners who don't see their vehicles as throw away, kitchen appliances. Here is a detail removal with pictures if you are so inclined.